Extremely strong with an intense flavor of cloves. GN Organic is a snus series by GN Tobacco, with quality tobacco, lots of taste and very strong! 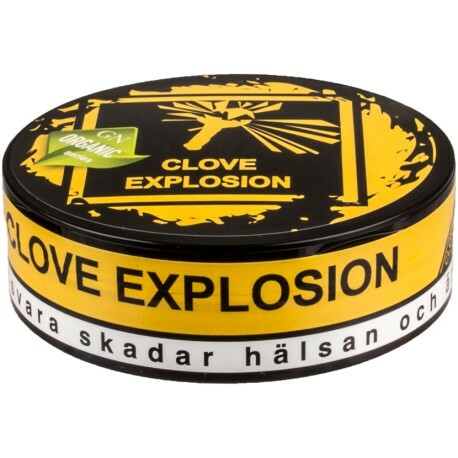 GN Organic Clove Explosion Brown - aromatised with organic cloves from Indonesia. In brown original portions for a fast release of flavor and strength.